When a thesp or helmer finally gets around to a dream project, sometimes they may try too hard or even lose sight of why the material was tempting in the first place. Not so in the case of Glenn Close and “Albert Nobbs,” the product of decades of emotional investment in George Moore’s Victorian tale, which she first performed on stage in the early 1980s. Close and helmer Rodrigo Garcia never lose sight of their story’s spine. Albert — no spoiler here — is a woman who assumes the disguise of a male waiter in a Dublin hotel to disappear into the wallpaper, societally speaking. Accordingly, Close keeps her rhythms and physicality carefully controlled throughout. Yet there’s life in her shining eyes, and wit in her choices. It’s a daarlin’ magic act: For all Albert’s anguished repression, 12-time Globe nominee (and dual winner) Close comes through with one of the drollest, most affecting, most fearless turns of the year. 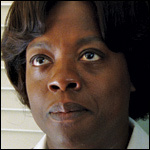 Viola Davis’ screen time is at best proportional to that of other ensemble members in “The Help.” But as the kudos for Marlon Brando’s Godfather and Anthony Hopkins’ Hannibal Lecter attest — not to mention Davis’ own Satellite Award this year, and her Globe nom for 2008’s “Doubt” — award recognition is largely determined by impact. Her Aibileen is the beating heart and steadfast conscience of Tate Taylor’s smash, and not merely because novelist Kathryn Stockett makes her the catalyst for collecting the personal narratives of the domestics of Jackson, Miss. Davis registers injustice about as well as anyone on the planet, and the heat she generates seems to burn out of her personality. At the same time, her performance exudes an essential compassion and love of life whether in repose or in moments of crisis. The tears may fall, but hope and a wistful smile remain as she schools her charges, and us, in the mantra of self-respect: “You is kind … you is smart … you is important.” Davis carries that weight. Steig Larsson’s heroine is intimately familiar to millions of readers worldwide, and to millions more through the Swedish film starring Noomi Rapace. 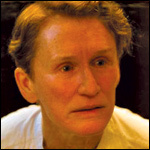 So was there anything new for Rooney Mara to bring to the party for the English-language remake? Quite a bit, as it turns out. Fully in command of the character’s catlike martial-arts moves, Mara locates a subtle self-doubt within, as if she’s never quite sure whether what she’s doing is completely conscionable. (Co-star Daniel Craig does much the same thing in his James Bond outings; maybe it rubbed off?) She’s remarkably expressive, too, within Lisbeth’s closed-off personality. When Mikael (Craig) uncomplainingly agrees to lend her money, watch the surprise, suspicion, relief and resentment flash across her face in turn. And helmer David Fincher and scribe Steven Zaillian retain (as the first film did not) the character of Mikael’s love interest and Lisbeth’s rival, granting Mara the opportunity to have her heart broken and to break ours as well. The pert co-ed of “The Social Network” successfully transforms herself into an avenging angel. Admit it: As soon as you heard Meryl Streep would be playing the former British Prime Minister Margaret Thatcher, you thought, “That’ll be an awards contender. She’s a lock.” And to no one’s surprise, the work proves eminently worthy of a jaw-dropping 26th Golden Globe nom, and recognition from the New York and Southeastern film critics. The physical and vocal transformation is astonishing, as is the play of readable thoughts across her eyes at every juncture of the PM’s extraordinary career. The star herself has deemed the film a study in powerlessness, and so it is on several levels: the difficulty a woman faces when trying to place a harness on a male-dominated government; the helplessness of the elderly when the mind starts to go. 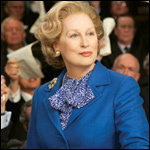 But “The Iron Lady” will surely be most memorable as a demonstration of power, namely Streep’s power as an actress, currently without discernible limit. 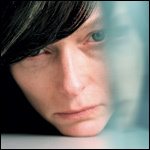 Was any leading player of 2011 taken down a rougher road than Tilda Swinton? Toplining Lynne Ramsay’s harrowing melodrama about the mother of a Columbine-style mass murderer, she’s put through a wringer of nonstop frustration, agony and grief. And thanks to the intensity of her concentration we’re right in the wringer with her, reliving every milestone in her little monster’s twisted development through jagged flashbacks and nightmarish visions. Every parent has those moments when they love, but don’t much like, their kids, but Swinton must bear the weight of knowing her boy can’t be loved, liked or even tolerated, even as she’s visibly haunted by the fear that his malignity may somehow be all her fault. For your own self-protection you may resist thinking too much about “Kevin.” But if you’re like most viewers, you’ll need to talk about Tilda.